Pre 1990 Sports and GT is for all GT and Sports cars manufactured before 1990. A GT car would be a car that a manufacturer produced primarily for road use and are generally characterised by having 2 doors. These range from big V8 cars such as Mustangs, Chev Camaro’s through more sporting cars such as Porsche 911’s and onto smaller GT cars like Alfa Romeo GTV’s, and Juniors. Even British GT cars such MGA’s, MGB’s and Morgan’s are classed as GT cars. Sports Cars would be cars primarily manufactured for race use, although some of these were homologated for road use. These range from big V8 cars like Ford GT40’s, Lola T70’s through to 2lt sports cars like Chevron’s and even smaller Lotus’. 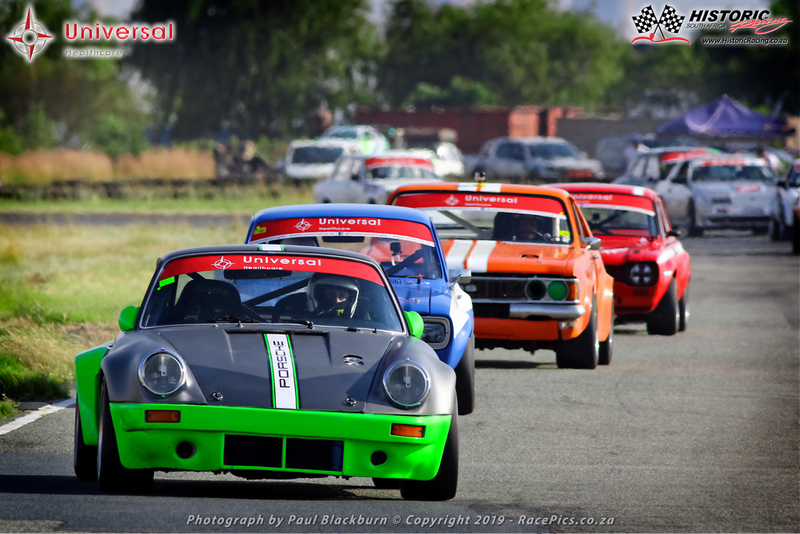 As such the category has a wide range of cars with differing capabilities from straight line grunt to high cornering speeds which makes for very entertaining and spectacular racing.